PirateDamon & KnightessBonnie. Quick manip.. not yet painted. Damon in the secret Witches lair after her goodies. . Wallpaper and background images in the Bonnie's Multi Shippings club tagged: bonnie bennett the vampire diaries tvd damon salvatore. 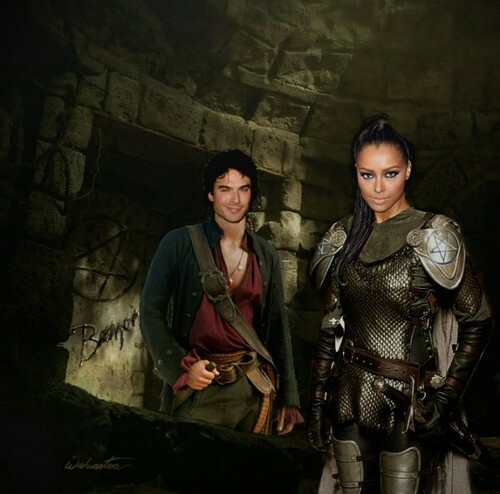 This Bonnie's Multi Shippings photo might contain breastplate, aegis, egis, brigandine, armor plate, armour plate, armor plating, plate armor, and plate armour.